Union HRD Minister Prakash Javadekar on Tuesday lashed out at the Congress for condemning the Centre over its border standoff with China and said that the latter has been continuously insulting the Indian Army. "Today in their press conference the Congress raised questions about what is happening on the Indo-China border. Earlier also, they have asked for proves on the surgical strike. This was a clear insult to the brave soldiers who participated in the surgical strike. The same thing happened when they called names to the Army Chief. 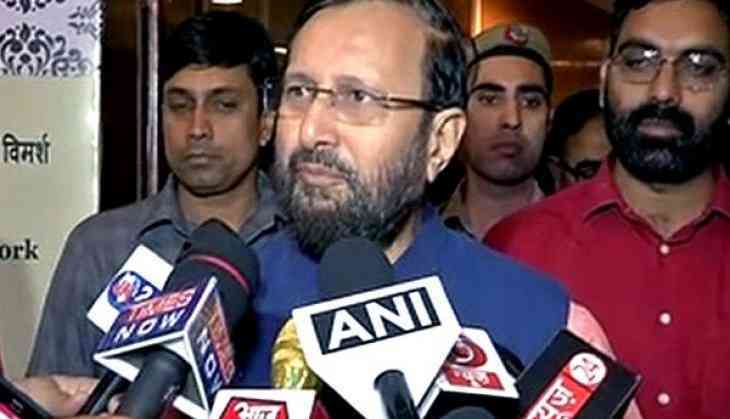 They not only insulted the Army Chief but they insulted the entire Indian Army," Javadekar told ANI. He added that in every situation, the Indian Army deployed on the Indo-China border is doing its work and the Congress is insulting them. "It's a comment from a party which has ruled this country for more than 50 years but in desperation, they have stooped so low that they are making politics out of foreign policy and defence policy. This is condemnable and everybody will condemn this kind of insult to the Army and the forces," he said. The Congress on Monday said that the Modi Government has been "caught napping" on the situation on the border with China. The Opposition party said there had been a large number of incursions and the ruling alliance had lurched from having "a reluctant Defence Minister" to a "part-time Defence Minister". Congress spokesperson Abhishek Manu Singhvi yesterday said that the national security was going through turbulent times in different facets with respect to China border. "China was blaming India "day in and day out" and was adopting one of the most aggressive postures even as it had not cared for India's concerns about Jaish-e-Mohammed terrorist Masood Azhar and membership of the Nuclear Suppliers Group and the United Nations Security Council," Singhvi said. The Congress leader's remarks came in the wake of the Indian and Chinese troops' face-off at Doklam or Donglong, a disputed territory between China and Bhutan. He said the incident had been preceded by a sharp increase in the number of Chinese incursions and violations. "Unfortunately, it appears this government has been caught napping and has not been able to implement significant accords of recent origin," he added. He said there had been a violation of the India-China Border Agreement 2005 and the Border Defence Co-operation Agreement of 2013. Singhvi said apart from transgressions and destruction of bunkers, there has been a complete stoppage of the "Mansarovar Yatra" from one entry point. He said his party was very alarmed and concerned about the situation and added that nothing was more important than national security. Referring to Union Finance Minister Arun Jaitley also holding the charge of Defence, Singhvi said it is just not possible for "part-time ministers" to deal with such issues.